Hello! We have served with Cru since 2003 (Margaret) and 2004 (Matt). We've had leadership roles on college campuses, Human Resources teams, Digital/Technology, Church Planting. Currently, we serve on the Global Operations team, as a Global Data Scientist at our World Headquarters in Orlando, FL. 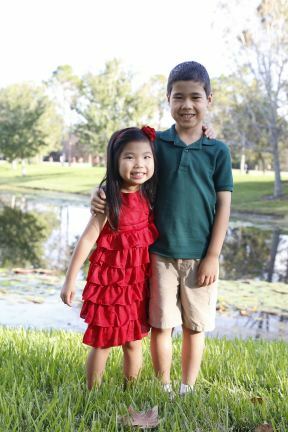 Our children, Isaac (7) and Lottie (5) love talking about Cru and visiting our Headquarters! Working on the Global Operations team, we help our leaders and teams use relevant, timely and accurate information to make better ministry decisions for more effective evangelism, discipleship, and training for the fulfillment of the Great Commission. Cru has ministries in more than 180 countries reaching the lost. The Global Operations team lays the tracks to make these ministries possible as we help them steward and maximize their resources. It is a blessing to use our gifts and talents to give every person on earth multiple opportunities to know Jesus and to be physically connected to a body of believers! We'd be honored to have you partner with our family in this ministry.